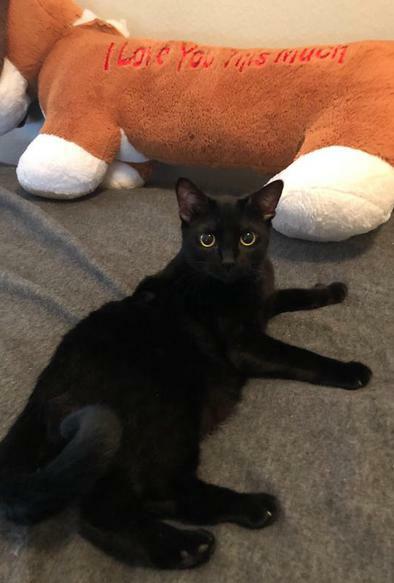 Jet is a very affectionate kitty, who is the mama to Stripes and Zorro. She's only about a year old herself, and her "babies" are now as big as she is. Once the babies were old enough, they went to our shelter, while Jet stayed on in foster care. 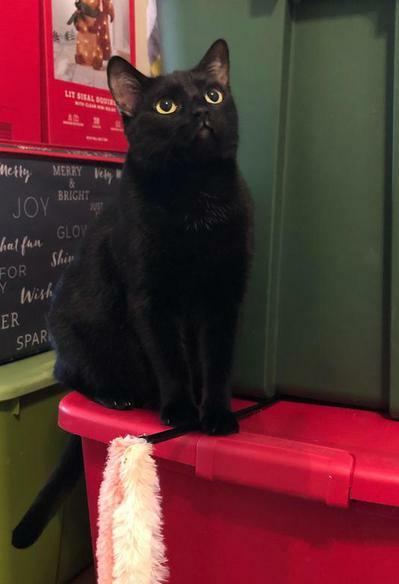 Her foster mom would love to keep her as she's very sweet and loving, but the problem is that Jet doesn't care for the other pets in the household. 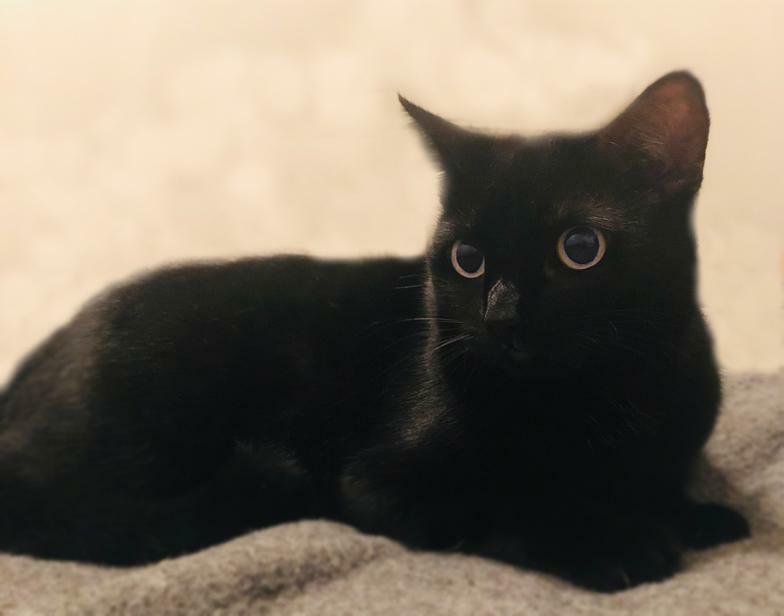 So, if you have been looking for a pretty pure black kitty who wants to be your own little princess and promises to be a great companion, Jet just might be ideal for you. Call Stephanie at 956-609-2005 for more information.